Preventable Tragedies. A Central Station Fire Alarm Can Save Lives. - Scarsdale Premier Insurance Agency | Advocate Brokerage Corp. Preventable Tragedies. A Central Station Fire Alarm Can Save Lives. We were saddened to hear of the Queen’s house fire at the end of April that claimed the lives of 5 young people. The fast moving fire was said to be reported by a driver passing the home. Although firefighters responded quickly, within 4 minutes of receiving the call, they were unable to save the lives of any of the 5 victims. It was also reported that there were no working smoke detectors in the home. 3 of every 5 home fire deaths occur in homes that have no smoke detectors. A few days later and a bit closer to home, another quick moving fire raged. In this home located in Westchester’s Briarcliff Manor, a smoke detector went off at around 1:30am, alerting the sleeping family. All three residents were able to escape to safety. Although this time, the fire claimed no lives; the home burned before firefighters could save it and the home was later declared a total loss. 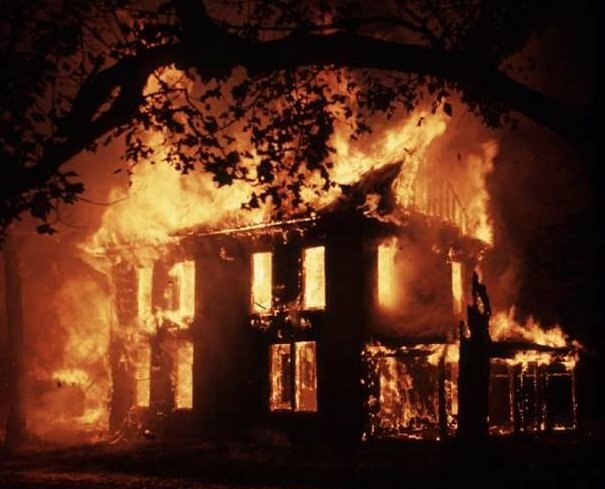 Last year over $7 Billion dollars in damage was reported due to home fires. Back in December, Scarsdale experienced its own fatal fire that claimed the life of Dr. John Salimbene on his 85th birthday. His wife Marie made it out of the house and was treated at the scene before being taken to Westchester Medical Center. The home reportedly had no central station fire alarm. Sadly, all of these tragedies could have been prevented if Central Station Fire Alarms had been installed. Unfortunately we hear all too often of house fires that claim lives and destroy homes because they had no working smoke detectors and/or no central station fire alarms. In many cases it is a neighbor who calls the fire department to report the fire. However all too often, this results in a time gap between when the fire actually starts and when it is reported. If the home is located on an isolated street or if it is in the middle of the night, the time gap can be significant. When it comes to fire, time is not on your side. Each minute that passes can be the difference between life and death, between a home that is damaged and a home that is lost. types of tragedies is to have a Central Station Fire Alarm installed in our homes. It is also important to note that most insurance companies provide a significant discount for the proper installation of a central station fire and burglar alarm system. If you have any questions, please feel free to reach out to us. It truly can save your family’s life and can save your family’s home. Scarsdale Security is a terrific local company owned by David Raizen thatAdvocate is proud to recommend.